Thanksgiving is probably nearly as old as mankind. From the time we started cultivating crops, farmers have been grateful for the sun, rain, and a good harvest. Its roots can be seen in the harvest feasts of the ancient Egyptians, Greeks, and Romans. It also is similar to Sukkot, the ancient Jewish harvest festival. Long before Europeans set foot on the continent, Native people already had a rich tradition of feasting and merrymaking to commemorate the fall harvest. When the Puritans arrived, they brought their holiday traditions, including feasts and celebrations to thank God in times of plenty. 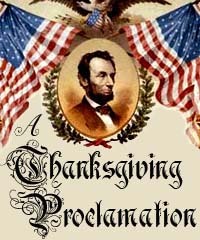 The first official national Thanksgiving proclamation came from George Washington in 1789. The President called for all Americans to thankful for the end of the war of independence and the successful ratification of the United States Constitution. John Adams and James Madison also issued Thanksgiving proclamations during their presidencies. The first official adoption of an annual Thanksgiving holiday came in 1817. New York was the first state to adopt the holiday. The date of the holiday was determined by each state and remained relatively unknown in the South. Ten years later, Sarah Josepha Hale, advocated for Thanksgiving to become a national holiday. 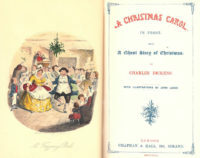 She first wrote about the tradition that grew out of New England in her novel, Northwood, in 1827. She then took up the cause in the Ladies’ Magazine (Boston) and then Godey’s Lady’s Book (Philadelphia) once it purchased the Ladies’ Magazine. It took numerous editorials as well as countless letters to politicians including presidents, senators, and governors before she accomplished the goal. At the height of the Civil War in 1863, President Abraham Lincoln issued a proclamation asking all Americans to “commend to His tender care all those who have become widows, orphans, mourners or sufferers in the lamentable civil strife” and to “heal the wounds of the nation.” That November, on the last Thursday of November, the nation paused to give thanks as one. Although the date was changed briefly to the third Thursday in 1939 by Franklin Delano Roosevelt, by 1941 it was permanently set as the fourth Thursday in November. The American Civil War era is just one of the fashion eras you can shop for through our online catalog. We hope you’ll stop by to see what we have to offer.